He got a real pretty mouth, ain’t he? 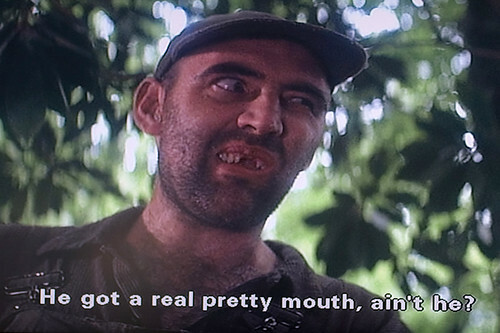 I can’t resist a Deliverance quote. Sorry not sorry. On Monday Henry had his annual dental appointment. Or as I like to call it – the good ol’ teeth’n’sheath. 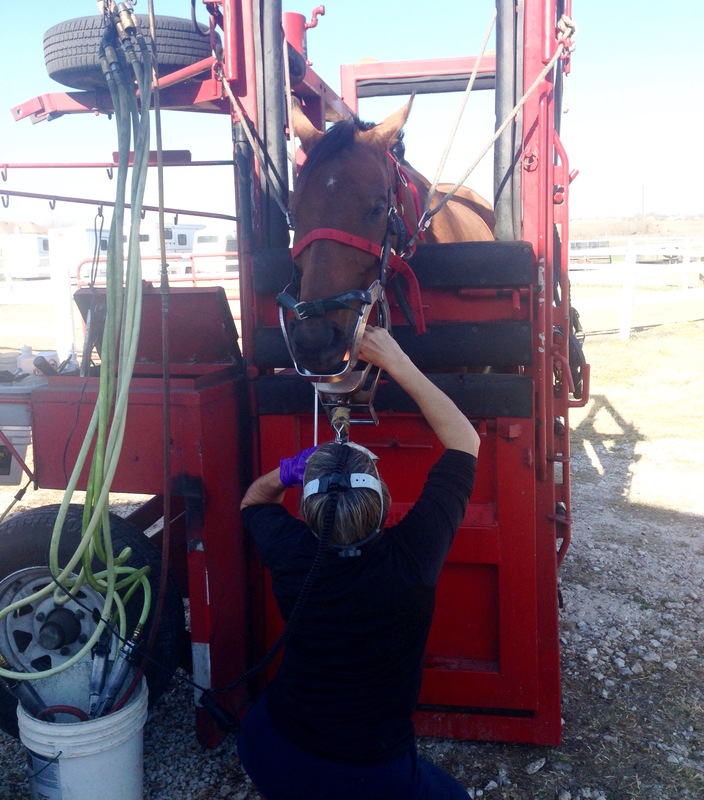 He will not, under any non-heavily-drugged circumstances, let me anywhere near his sheath, so I always have the vet do it when they do his teeth. I don’t want to die, thanks. Henry’s jaw doesn’t totally line up right, so every time I’ve gotten his teeth done he’s always had a hook on one side. The first time it was a HUGE hook. The second time it was a moderate hook. This time it was a small hook. I think having good regular dental maintenance has made a big difference. When the dentist strapped on her headlamp and took a look she said “He’s got a pretty mouth!”. Granted, maybe she just says that to all the boys. After his teeth were done she swung open a couple of the slats on the side of the stock (which is the coolest mobile stock ever, btw) and went to town on his sheath. Once that business started Henry just kept glaring at me. But overall it was done pretty quickly. No bean, a nice squeaky clean sheath, pretty teeth, and hopefully he’s good to go for another year. I’m pretty sure he flipped me the bird when I turned him back out though. 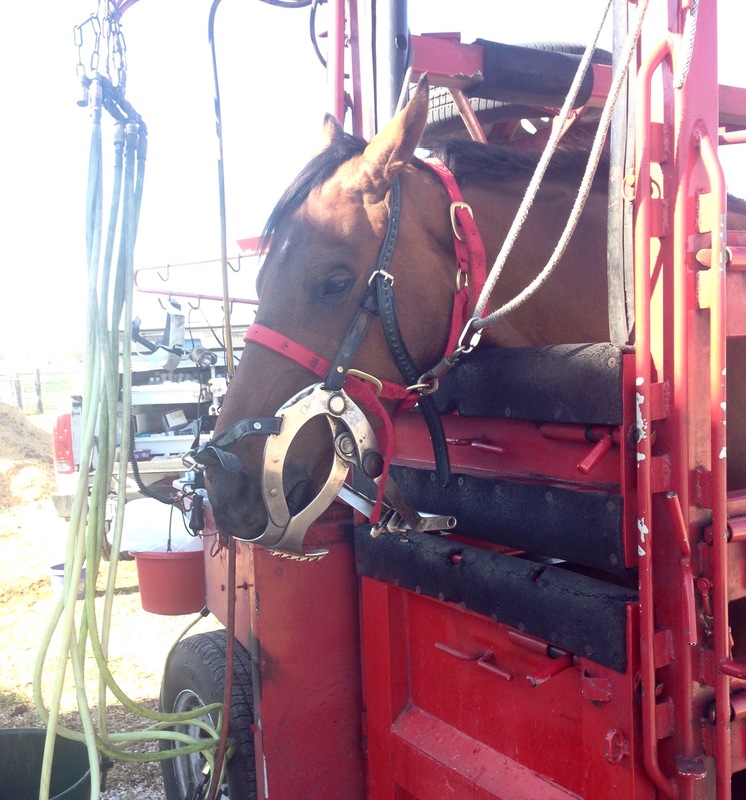 Horses just don’t appreciate the ways in which we spend stupid amounts of money on them. My horse stood at stud before I got him, so trainer was like oh, he’s used to being handled, he’ll be fine to clean his sheath. Um, no, apparently the gelding process scarred him for life, because he made it VERY clear he doesn’t want me anywhere near his sheath. Pay the vet and avoid getting my face kicked it – absolutely!!! I am still obsessed with that trailer thing. My Manny is a huge jerk for his teeth, but I can clean his sheeth with no problem. The vet always needs to give him double the sedation and even then he fights it. I swear it’s the Appy in him. The vet school we use has stocks that are similar to that. Teeth n sheath is definitely the way to go. My Henry loves is sheets cleaned lol!! Yes definitely always make the vet/dentist do the sheath. That is the only thing I miss about mares. Moe is always pretty good for the dentist. He used to be good about letting me clean his sheath, but he’s gotten kind of cranky as he’s aged. I end up doing it myself to save the $50 the vet would charge, but it’s never a super fun process. 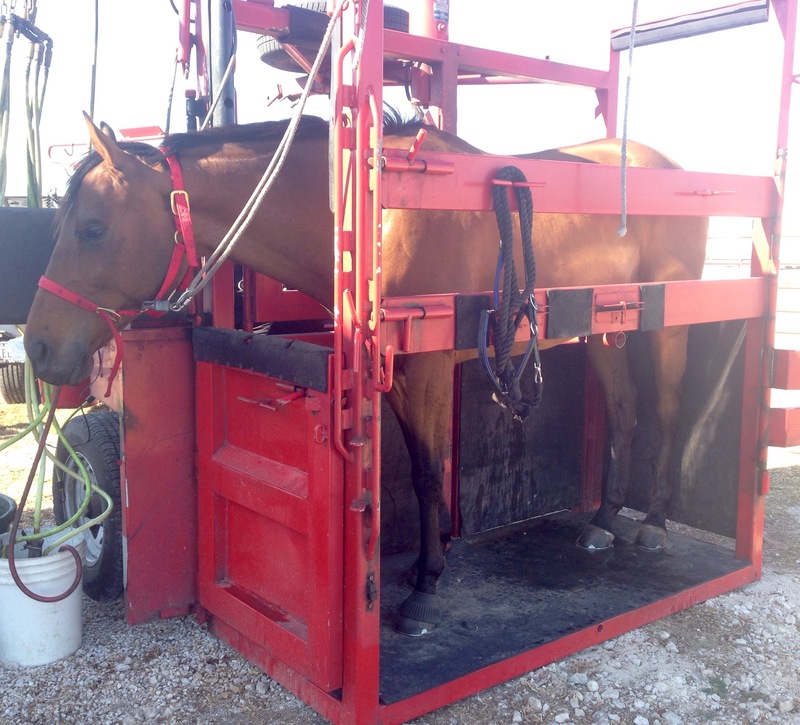 My gelding, who will tolerate shots without even a halter and has had medical procedures done without sedation, will not let me touch his sheath. So he also gets a yearly cleaning with the vet at dental time. And he tends to fight her even with the sedation. Sleep through the dental, but does not want his sheath touched.